Students at a girls primary school in Sierra Leone’s capital Freetown pictured after their lesson on the Global Goals, organized with the help of Unicef Sierra Leone as part of The World’s Largest Lesson. 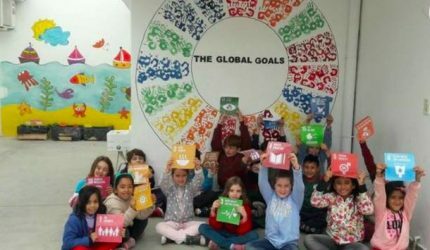 The campaign aims to teach children in over 100 countries about the new Sustainable Development Goals launched at the UN General Assembly. This blog comes courtesy of Olav Kjorven, Director of Public Partnerships at UNICEF. When you think of comics, you probably think about Super Man, or Spider Man or the Fantastic Four, but you probably do not think about the United Nations. I would like to take a minute to tell you why you should. A few weeks ago, the United Nations celebrated the official adoption of the Global Goals for Sustainable Development – a commitment from leaders of governments and business…from children and youth…from civil society and religious leaders…from sports and entertainment icons – to tackle the biggest problems that plague our world – poverty, hunger, lack of quality education, violence, extreme inequality and plundering of our natural resources and the environment. The passage of the global goals was not just an important moment for the UN, but for the people of the world who have been vital in defining what these goals should be. The global goals are truly the people’s goals…and we must all own them and work towards achieving them through our daily actions – both big and small. There are a lot of goals – 17 in all – but there is a way to make these understandable and accessible to people of all ages…and make them fun to learn about – through the powerful entertainment medium of comics. 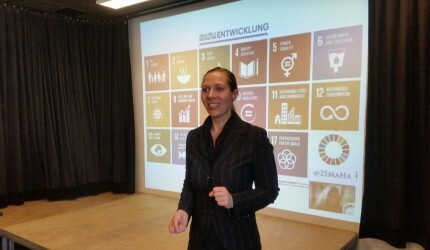 Comics can address challenging topics in unique and entertaining ways, and they can reach people that – frankly speaking – would not otherwise be particularly interested in global goals adopted by the United Nations! By articulating the principles and values of the global goals through stories, imagery and even some famous characters, we can get people to think about these critical issues and what they means to their lives, their family and their communities. Let me give you a concrete example, using the comic that was created to illustrate why gender equality – Goal 5 of the global goals – is so important. This particular comic is geared towards an audience in the country of India where discrimination, harassment and violence against girls and women is, sadly, still a commonplace. This comic uses an existing character already well known throughout India and which was created by the legendary Stan Lee and Sharad Devarajan – Chakra the Invincible. In a strange twist, the mind of a superhero boy – Raju (alter-ego Chakra) is switched to the body of Leela, a girl who is his next door neighbour, and hers to his. After the mind/body switch, Raju has to live a day in Leela’s shoes as a girl – doing chores, cooking, and not being able to play, study or enjoy life like boys her age do. When he switches back, Raju has a new appreciation for the challenges faced by girls, particularly in India…and makes sure to spread the news to the boys in the neighbourhood that girls must be included and treated equally! It is a simple but useful way to convey this important message…starting with the hearts and minds of children who will drive the change. These types of materials can also be helpful for creative and engaging lesson plans in schools. For example, the World’s Largest Lesson – an initiative of Project Everyone, UNICEF, Comics United Nations and a host of other partners – has integrated an animated video and comics into school curricula now being used in over 100 countries, reaching an estimated 500 million children with messages about sustainable development and what they can do to make a difference. This weekend, I am thrilled to be talking about UNICEF’s partnership with Comics United Nations and the World’s Largest Lesson during a panel discussion at New York City’s ComicCon. 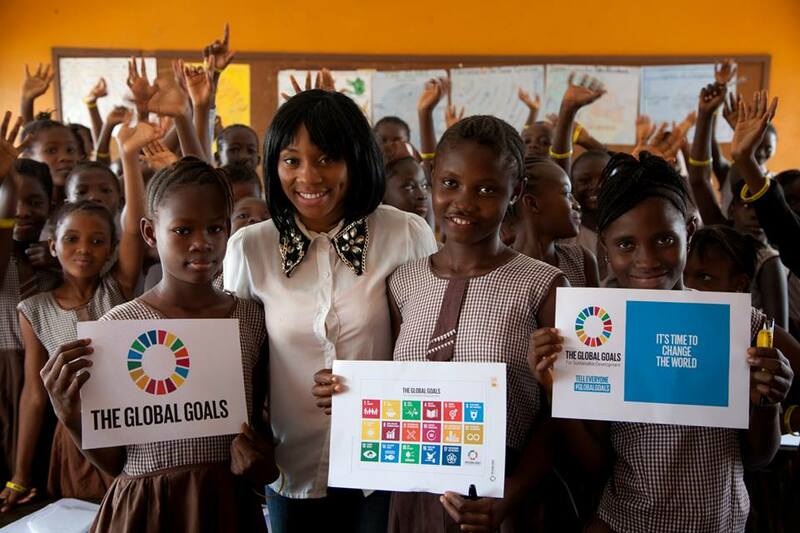 I have been both delighted and humbled by the different artists that have channelled their creativity into bringing the global goals alive for children through these partnerships, and I have been equally inspired by how children — and even adults – have responded so enthusiastically to the messages. I firmly believe that by using creative mediums and, especially, by reaching children and young people with these messages, we can collectively create a generation of people who care about ending poverty…increasing equality and justice…and protecting and respecting other living beings and the environment that we live in…and, it is this generation and those to come that will shape a future world that is cleaner, fairer, safer, more prosperous and more inclusive for all. 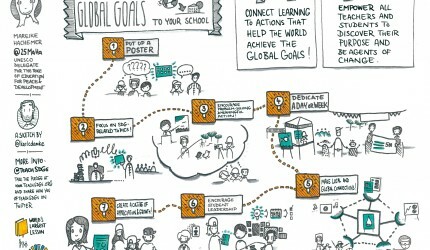 The global goals maybe be big…messy….and more than a bit daunting. But if we can break them down into pieces that are understandable and inspiring to the people of the world, they just might be achievable too. Olav Kjorven is Director of Public Partnerships at UNICEF.